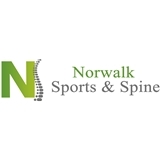 Norwalk Sports & Spine (Norwalk) - Book Appointment Online! Why We’re Your Best Choice Norwalk Sports & Spine is a multi-disciplined, state-of-the-art, physical medicine and rehabilitation facility with a focus on chiropractic care. We are conveniently located on Route 7 between the DMV and Merritt Parkway. We offer a full range of specialties to promote overall health and wellness. These including chiropractic, massage therapy, acupuncture, Graston myofascial release, nutrition, physiotherapy, and therapeutic modalities. By having access to all these services at one location, you can be assured you’ll receive the most appropriate and successful type of care for your condition. Our team of practitioners will work cohesively to ease your pain and symptoms, while helping to prevent them from returning by educating you on lifestyle modifications. Professional and Friendly Service At Norwalk Sports & Spine, your comfort with the doctors and your customized therapy program are our main priority. Every patient receives an initial consultation and examination to insure a proper diagnosis. We take time to talk with you about your condition and what it will take to improve it, as well as listen to any concerns or questions you may have. Our staff members ensure that you fully understand your treatment plan prior to beginning your therapy program. Our experienced insurance department will answer any of your questions involving cost of treatment upfront, to ensure there are no financial surprises. Evidence-based and Personalized Treatment Our patients receive the highest level of care! Multi-phased, evidence-based treatment plans are driven by your needs and underlying conditions. Not, by pain symptoms, or insurance companies. Although we accept most major medical insurances, our practice does not allow the insurance companies to dictate your treatment plan or level of care. We will work with you to make lifestyle changes to fix underlying causation behind your symptoms, not just treat pain. Ease of Scheduling and Valuing Your Time At Norwalk Sports & Spine, most of our clients are busy professionals whose time is extremely valuable. We strive to help you stay on schedule. If you arrive at our office on time for your scheduled appointment, we make sure that you are seen within minutes by one of our staff members. We make it easy to schedule through text message, email, or on our website. Injuries and schedules are uncontrollable, so we offer same day appointments when available. It was very good. She was very thorough and explained everything to me. I had a great experience with Dr. Saunders! The staff at Norwalk Sports and Spine are all very nice. You’re always greeted right away and asked how you’re feeling, what’s bothering you, etc. Dr. Q has many services to offer and truly has the best interest for each of his patients. He has helped me tremendously with my migraines. I have recommended my family and friends to him. Great therapeutic accupuncture. Fixed my tendinitis in two places. Going back for a fourth treatment today.